Snap-In Quad Port fittings for Flojet and Jabsco Diaphragm Pumps. 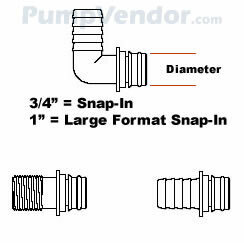 These are the most common 3/4" diameter snap-in portion "Standard Format" size. 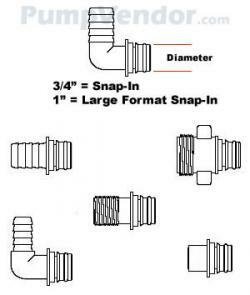 These fittings fit all Flojet motor driven diaphram pumps under 6 GPM with Snap-In Ports except the LF Plus models. These fittings fit all Jabsco motor driven diaphragm pumps under 6 GPM. Buna is typically used for water, oily water, bilge, light oils, engine oil change, diesel (not for biodiesel). EPDM is typically used for water, drinking water, vinegar, acids, beer, wine, whiskey. Not suitable for any oils or diesel. Viton is typically used for chemicals, hydrocarbons, diesel, biodiesel, heat over 180 F, agricultural chemicals, beer, wine, whiskey. Not suitable for ketones, acetone, organic acids, acetic acid etc. More Info: 20381E, AS-113E. 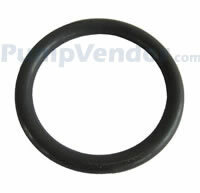 EPDM is typically used for water, drinking water, vinegar, acids, beer, wine, whiskey. Not suitable for any oils or diesel. 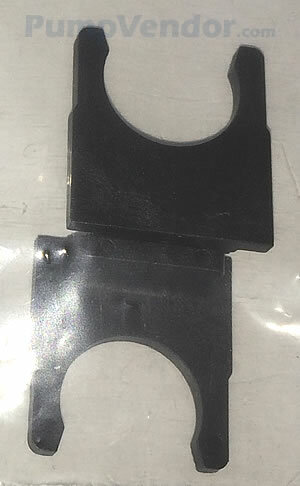 More Info: 20381V, AS-113V. Viton is typically used for chemicals, hydrocarbons, diesel, biodiesel, heat over 180 F, agricultural chemicals, beer, wine, whiskey. Not suitable for ketones, acetone, organic acids, acetic acid etc. 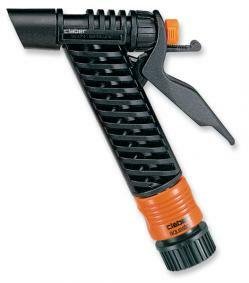 More Info: Replaces Jabsco 30648-1000. "Standard Format" size.